Clean air has a cost? Will it pay off in the end? 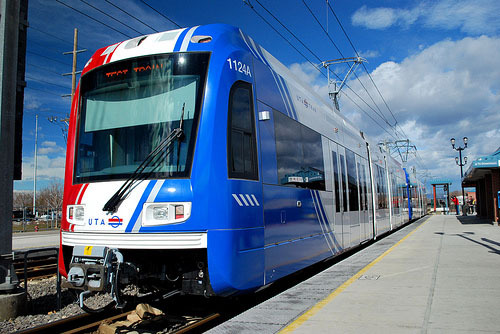 UTA Trax paving the way for clean air. Conservative leaders are great champions of wide, efficient freeways. Wide freeways facilitate the suburbs and are a key facet to the “ownership society” of Americans with the proverbial three-bedroom house and white picket fence. Liberals are more often the champions of rail, mass transit and working to get people out of their cars. 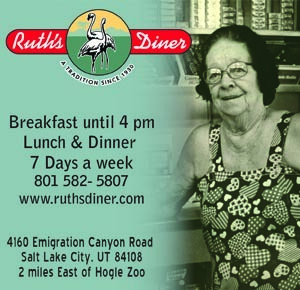 Along the Wasatch Front, you could say we have the best or worst of both worlds, depending on who you talk to. UTA is now recognized as one of the best transit systems in the western US. 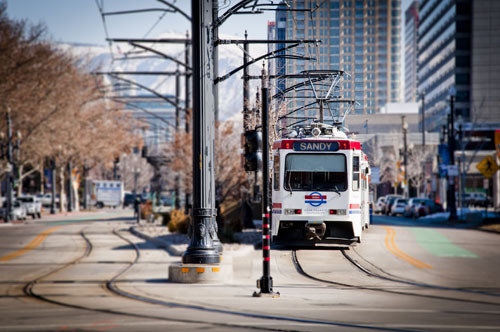 Trax offers three lines serving most of Salt Lake Valley. FrontRunner is expanding with projects being completed under budget and in record time. UTA has plans to continue to grow and build. There are plans for a Sugar House streetcar system and a possible Taylorsville, Murray trax line. But at the same time the I-15 corridor is growing ever wider. In 2014, UDOT will implement their Point Project. The project will widen the road from 4 lanes to 6 in each direction and replace concrete pavement from SR 92 in Utah County, north, to 12300 South in Salt Lake County. But do wide freeways, the Wasatch Front’s notorious suburban sprawl, and mass transit really work together? Rider Projections have fallen short. What are officials doing to address this matter? Last February, Utah physicians signed a letter urging Governor Herbert to do something about Utah’s pollution problem. They believed that the terrible carcinogens Utahns are exposed to in January, February, June and July, are causing lung-related illnesses such as bronchitis and emphysema. They pointed out that for 20 days this year, the effects of the pollution were comparable to everyone in the valley having taken up smoking. It’s clear that the best solution to this problem is mass transit. If far more people would get out of their cars and onto rails there would be far less pollution across the Wasatch Front. 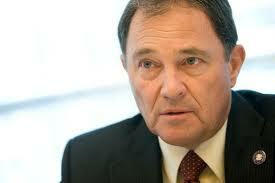 Governor Herbert has done little to nothing to address this problem, rather than urge people to ride transit. We in Utah love our cars, and we are in favor of light rail (as long as we aren’t the ones using it). So are we wasting our money building the infrastructure? Ridership increases have fallen short of projections. UTA executives’ compensation packages and lavish trips have been under recent scrutiny. Sure they are doing a great job, but will we ever reap the reward by having cleaner air quality? According to the online periodical Grist, “UTA is one of the best US transit systems you never knew existed.” Recently, US Transportation Secretary Anthony Foxx was in town to commend UTA for completing Frontlines 2015 two years early and $300 million under budget. In 2011, U.S. News and World Report interviewed Mayor Ralph Becker about Salt Lake’s successful transit system. UTA is doing a great job of providing mass transit opportunities, but where are the riders? 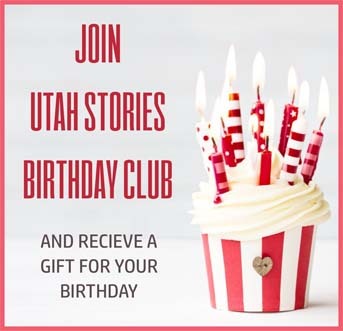 Utah Stories tried to contact UTA to get figures on ridership and ridership estimates, but our calls and emails were not returned. We found results in a Journal of Public Transportation study comparing Salt Lake transit to Dallas, Portland, Sacramento and San Diego. In terms of light rail ridership miles, Salt Lake placed second to last, in bus ridership miles Salt Lake came in last. We also looked at UTA budgets and found that in 2011 passenger revenue was at $39,693,756 compared to sales tax supplementary revenue of $178,560,993, making UTA $138 million from breaking even. But unlike the railways of the past, since UTA is under state ownership and control, breaking even or becoming profitable isn’t the goal. A goal of UTA should be to facilitate riders who don’t have cars, as well as to help improve our air quality by convincing residents to use transit rather than cars. If facilitating ridership is a priority, then recent changes seem to run contrary to their mission. In order to properly fund light rail and FrontRunner projects, bus routes have been cut back or eliminated and night and weekend service has been cut. If encouraging people to use mass transit is one of the aims, then maintaining bus service should be a priority. There are more residents who have easy access to a bus stop than those that live close to a Trax station. What would entice more people to use the available transit system? Certainly lower rates would help especially for low-income families and the disabled. This summer UTA teamed with Zions Bank to offer Ride Clear passes. The passes were good for seven consecutive days in July and could be used on buses, Trax and FrontRunner. The idea behind the promotion was to improve air quality on poor air quality days. It was also a great way to introduce new riders to the system. Promotions let people know what is available and lets them get to know the system. The program seemed to be a success. The first 1,000 passes went quickly and they offered an additional 1,500 passes. UTA recorded 20,008 boardings using the Ride Clear passes and was so pleased with the success they are planning more promotions in the future. Longer running hours and more service on weekend would draw more riders. Residents at a halfway house use the bus for transportation to work. Work is essential for them to get on their feet again. Many of the workers can take a bus to get to work, but by the time they are done the buses have stopped running and they have to find an alternative form of transportation back to the halfway house. Helping the people who really need and depend on mass transit is far better than spending money on trips to Switzerland to study their mountain transit system. From a public relations point of view, it would help to make sure the UTA drivers and workers are fairly compensated rather than high compensation packages for top executives. Recent press about expensive trips and high salaries are contrasted to cuts to part-time employee wages. It never hurts to have a good public image if you are trying to attract people to use your service.